Architecture and the elements are intimately interconnected. It is estimated that around 50% of the world’s population lives or works in earth buildings, constructed mainly of dirt (clay, gravel, sand, silt, soil, loam and mud). Stone, also of the earth, has been used to great effect by civilisations like the Tiahuanacu and Inka, as well as in buildings in Europe and their colonies. Iconic buildings like the Flame Towers in Baku, Azerbaijan pay homage to the elements. And ancient practices such as Feng Shui from China and Vastu Shastra from India use the elements to assist with the placement of buildings in a landscape, on a site and their internal design. This pictorial essay on architecture – the art or practice of designing and constructing buildings – and the elements demonstrates some of these connections. As they say, a picture tells a thousand words. 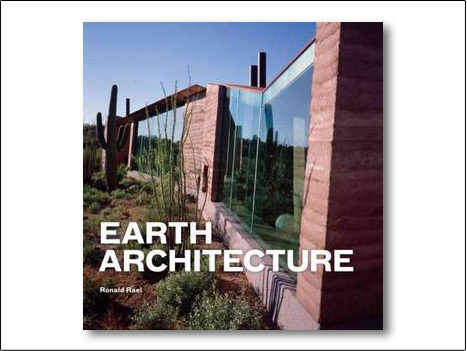 The related topic of how architects view and work with the elements is covered in the post ‘Earth Water Air Fire Architect‘. All of the images below are mine, unless otherwise stated. 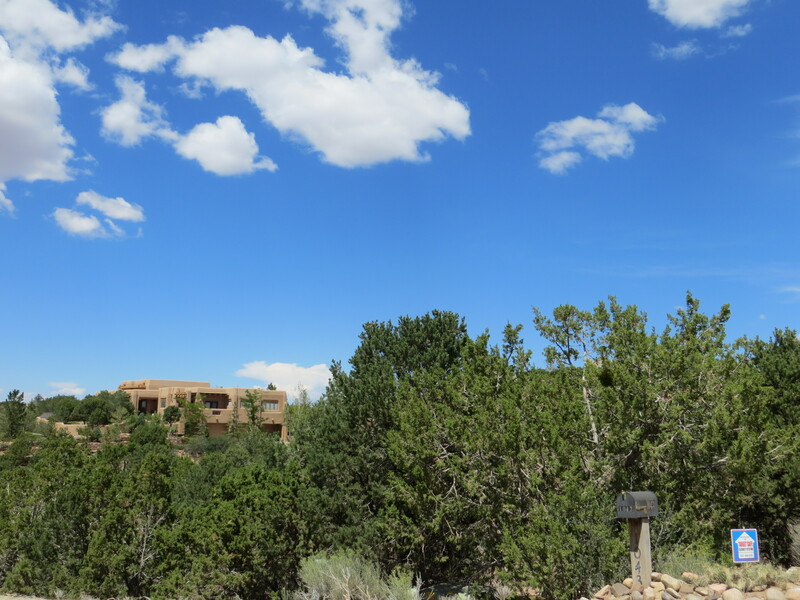 The low rise adobe (mud brick) buildings of Santa Fe, New Mexico, USA blend into the landscape. After 1912 all buildings were required to adhere to the Spanish Pueblo/adobe revival look. Modern buildings in this style may either be made using original techniques, or have a stucco facade over concrete or timber to simulate adobe architecture. 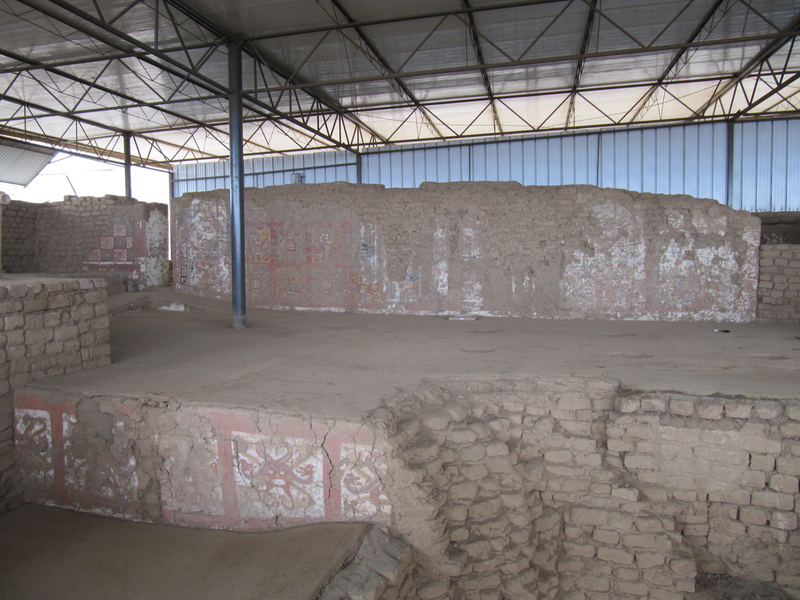 Excavations between the Temples of the Sun and Moon in Trujillo, Peru have uncovered a large city made of adobe (mud brick) that would have existed around 1500 – 1600 years ago. The image is taken from the Temple of the Moon, a name give to the structure by the Spanish. 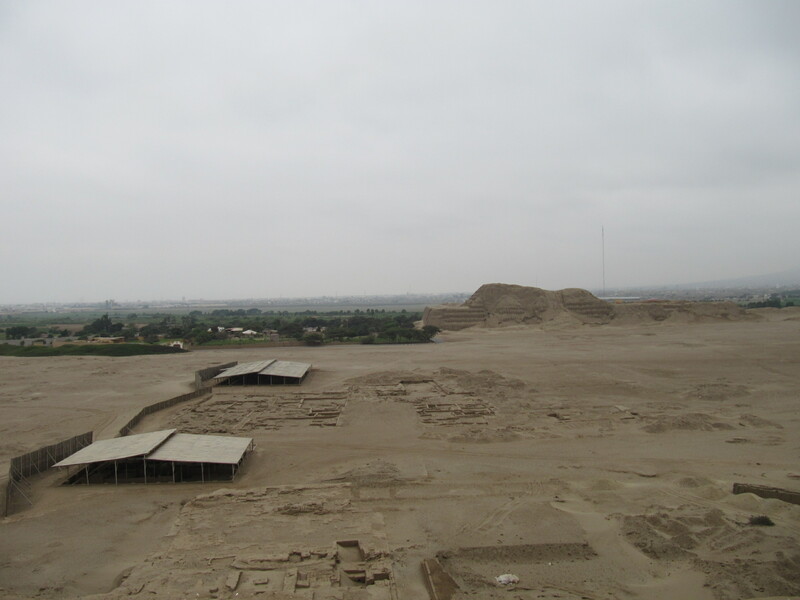 The Temple of the Sun, the substantial mound in the distance, is the largest adobe pyramid in Peru. Adobe bricks and friezes inside the Temple of the Moon, Trujillo, Peru. Adobe is still used in the construction of buildings in the region, over 1500 years after the Temples of the Moon and the Sun were built. 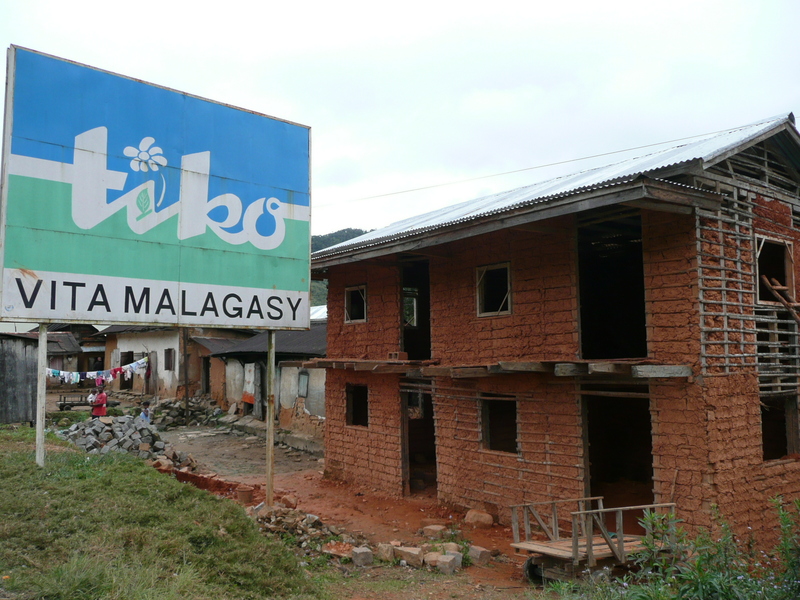 Locally sourced building materials such as mud and wood, seen here in Madagascar, have a low carbon footprint. Locally made sun and kiln-dried bricks are also used, especially for housing. 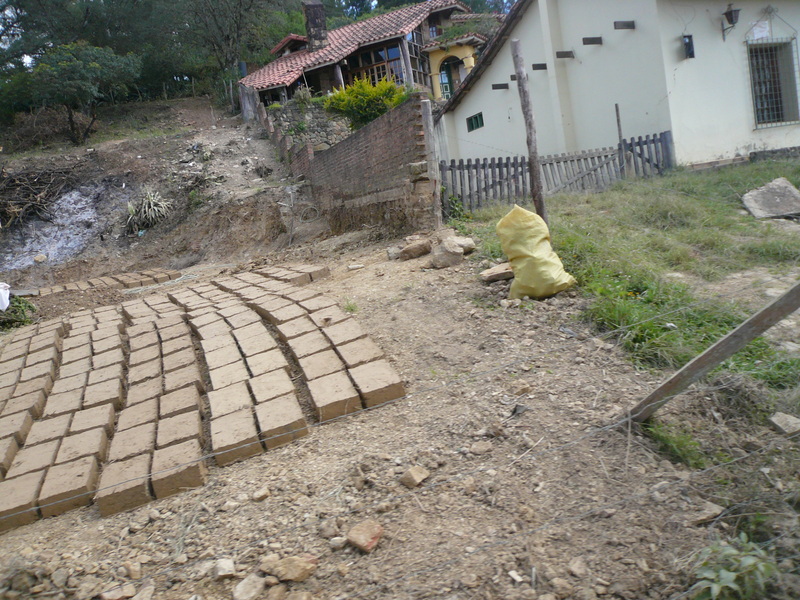 Hand made mud bricks drying in the sun, near Santa Cruz, Bolivia. Buildings made from natural materials like this are considered earth structures. 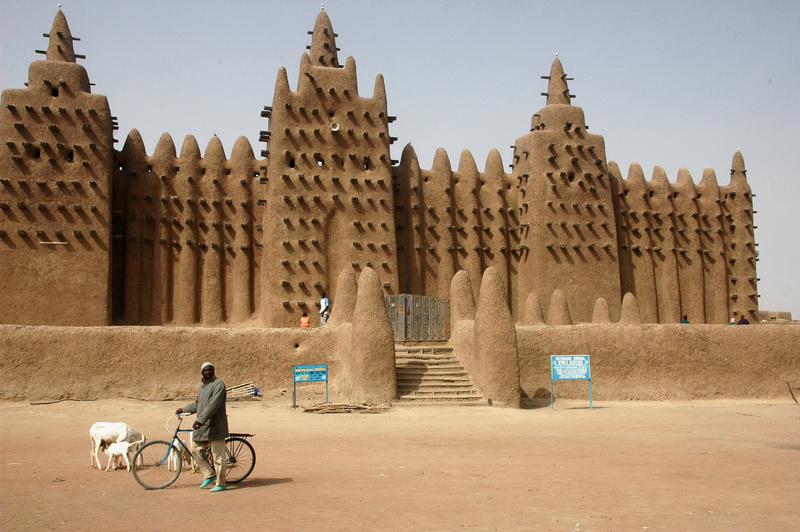 The Great Mosque of Djenne, Mali, Africa. Made of adobe (mud brick), the building is a World Heritage Site. Repairs to damage caused mainly by rain are made each year during an annual festival. Source: wikipedia.com (photo by Ruud Zwart). 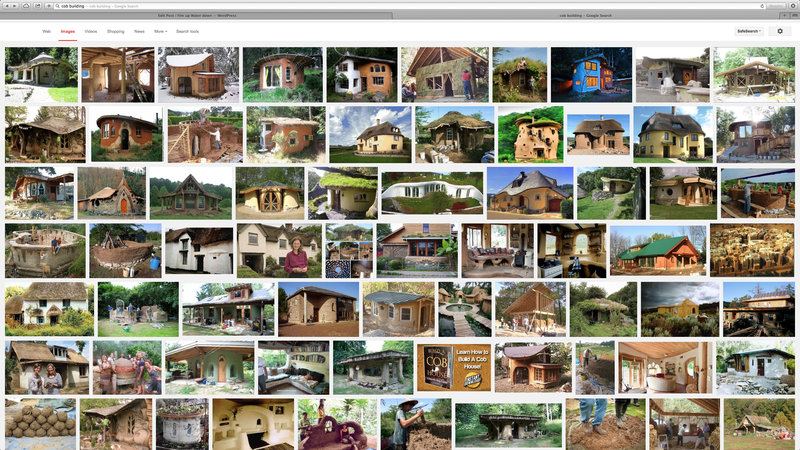 Cob buildings, a close cousin to adobe, are having a revival in the west due to the natural building and sustainability movements – as shown in this Google Screen Shot. Older cob structures can be found around the globe including in Europe, the Middle East, Africa, the eastern USA and New Zealand. Like the creation of ceramics, people building their own homes of mud and straw combine the elements of earth, water, fire, air and spirit in their making. Inka buildings such as the Torreon at Machu Picchu, Peru were built to fit in with existing rocks. 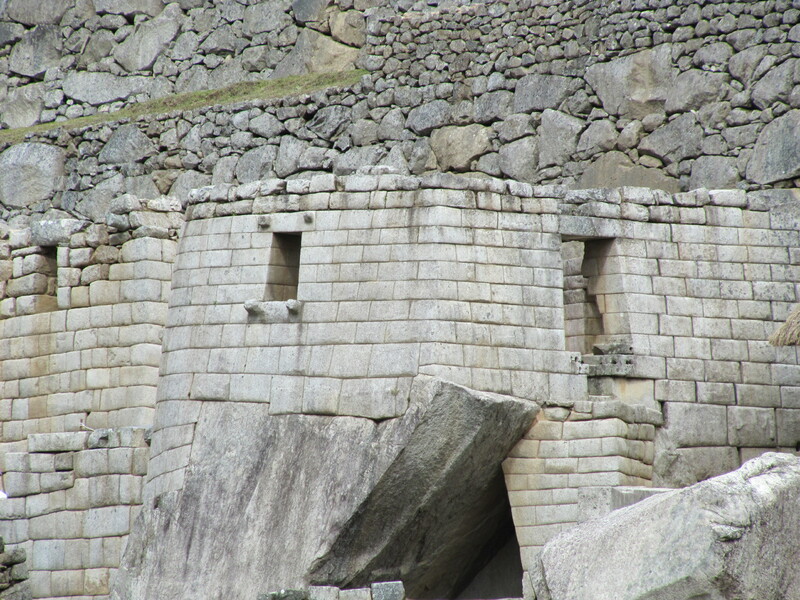 This image shows both the fine and coarser stone masonry of the Inka. 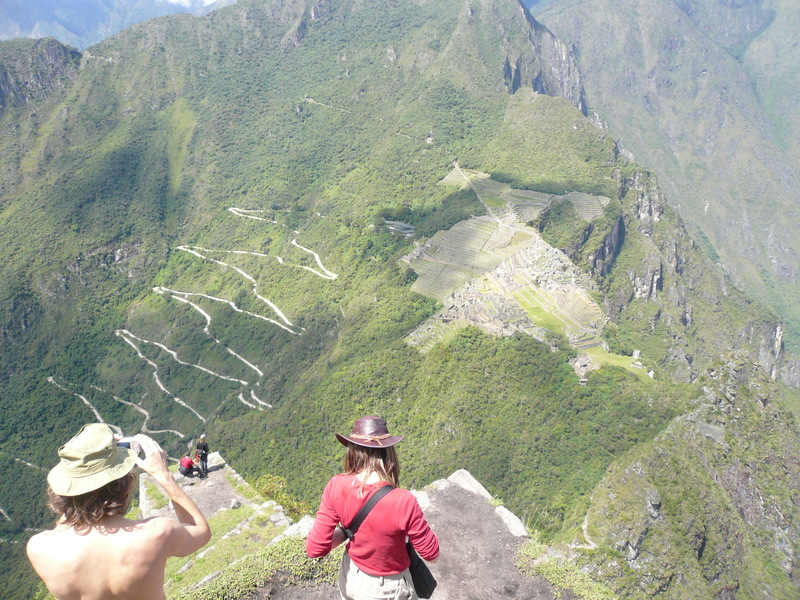 Machu Picchu is intimately associated and aligned with the natural elements, the sun (fire), water, air and earth. Machu Picchu and the path to the Gate of the Sun (the notch in the mountain range, far left), viewed from the top of Waynu Picchu. The engineering required to build Machu Picchu is breath-taking, especially as the Inka did not have the zig-zag road for access. While the road makes it easier to visit, it detracts from the aesthetics and sense of place. 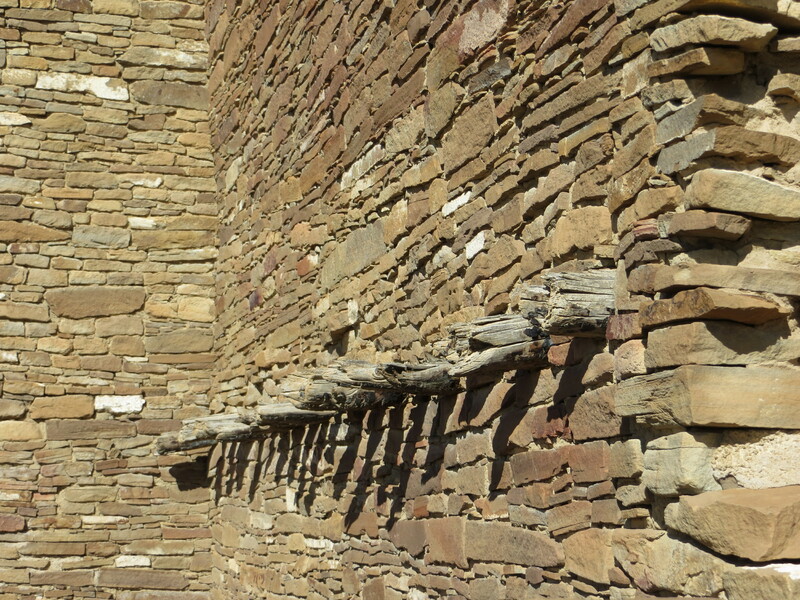 Stone and wood, sourced locally, were used to build the large complex of buildings and sites in Chaco Canyon, New Mexico. Stone is less exposed to the elemental impacts of wind, rain and sun compared to earth structures. 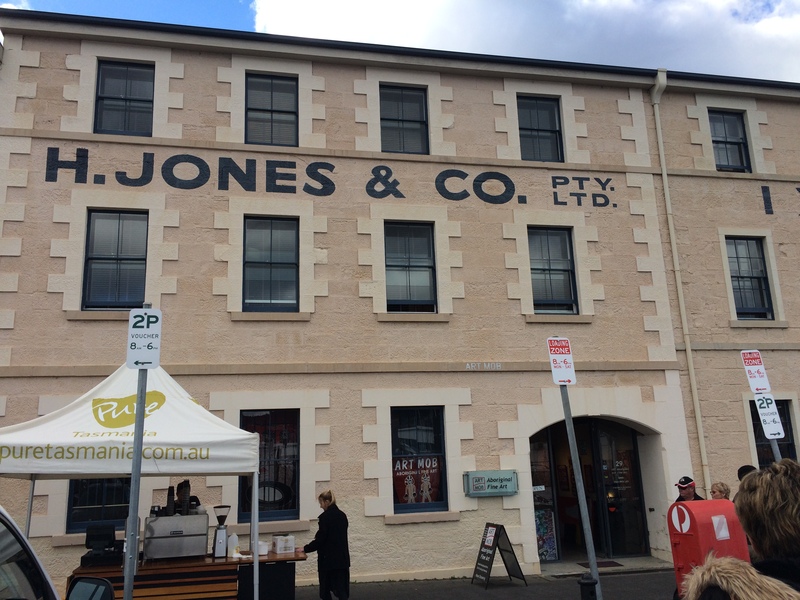 Local sandstone was used in many Georgian buildings in Hobart, Tasmania, Australia including in a series of warehouses that have now been converted into a hotel and arts precinct. 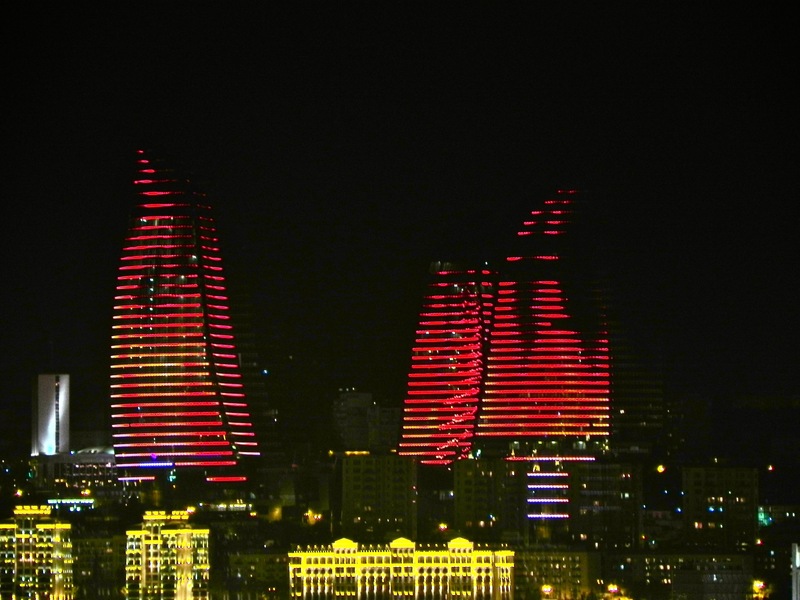 The eye-catching Flame Towers in Baku, Azerbaijan – the Land of Fire. The simulated flames on the towers are produced by LED lights. Source: pixgood.com. 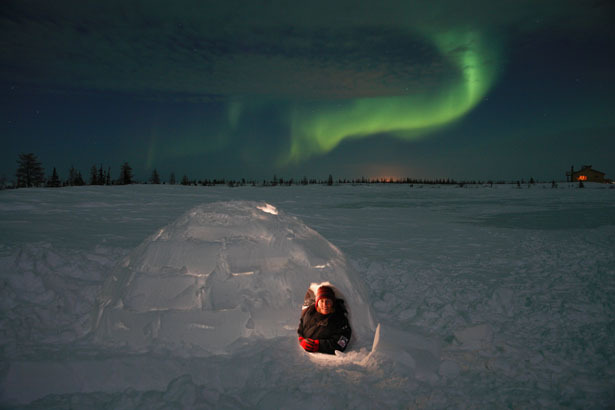 The igloo is made out of solid water. An ingenious design which is quick to build if you know how. It’s almost as impressive as the Aurora! Source: http://www.thestar.com. Water is often used as an elemental feature in buildings. 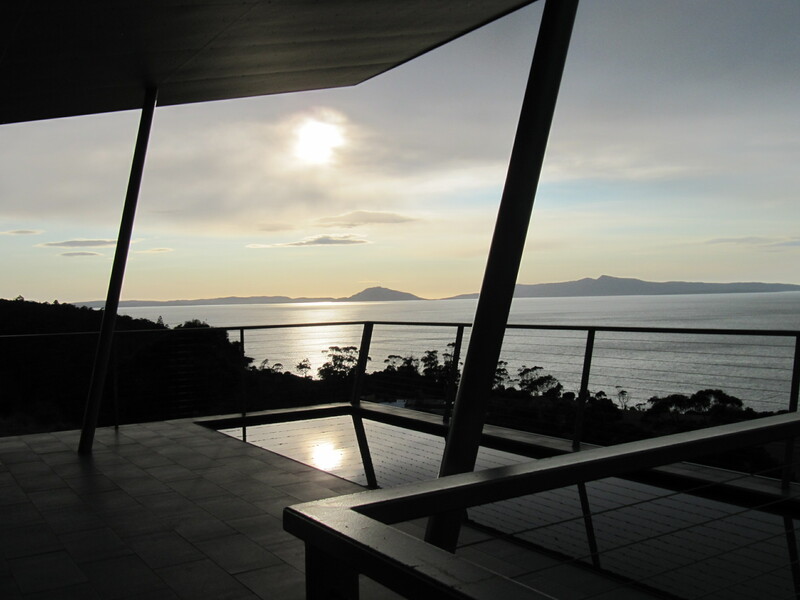 The shallow pool shown here complements and connects to the major natural water feature the building overlooks on the East coast of Tasmania. Water features are also used to attract animals, especially birds. 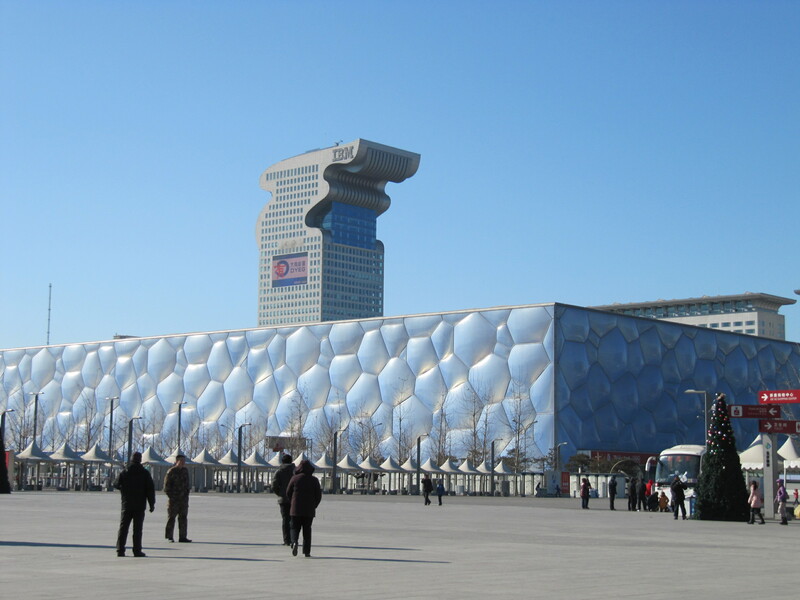 The ‘Water Cube’ in Beijing, China, built for the 2008 Olympics, is constructed of bubbles that symbolise water. The IBM Building behind it symbolises a dragon, an animal that embodies the five Chinese ‘elements’ of earth, fire, water, metal and wood. 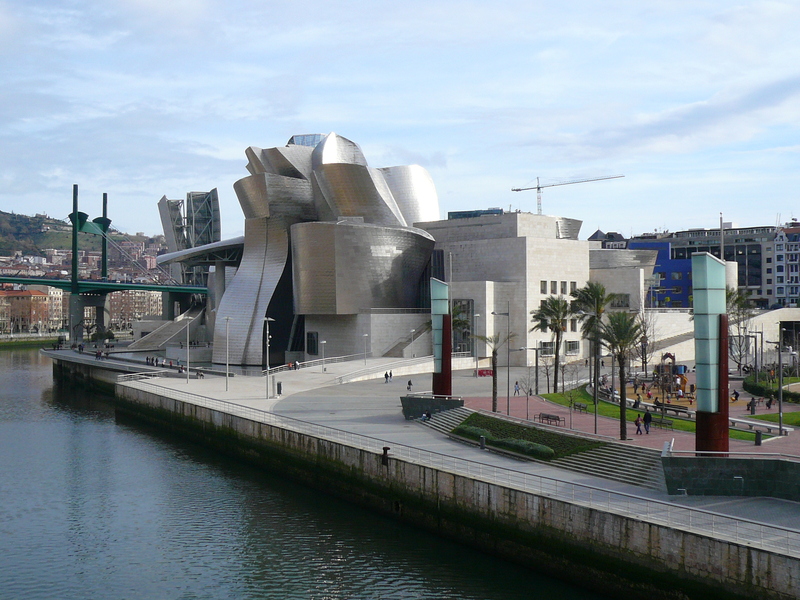 The Guggenheim Museum in Bilbao, Spain is covered in titanium. The building was inspired by the shape and textures of fish. From the river it is said to resemble a boat, from the top a flower. To me it looks like metal in motion, frozen in time. 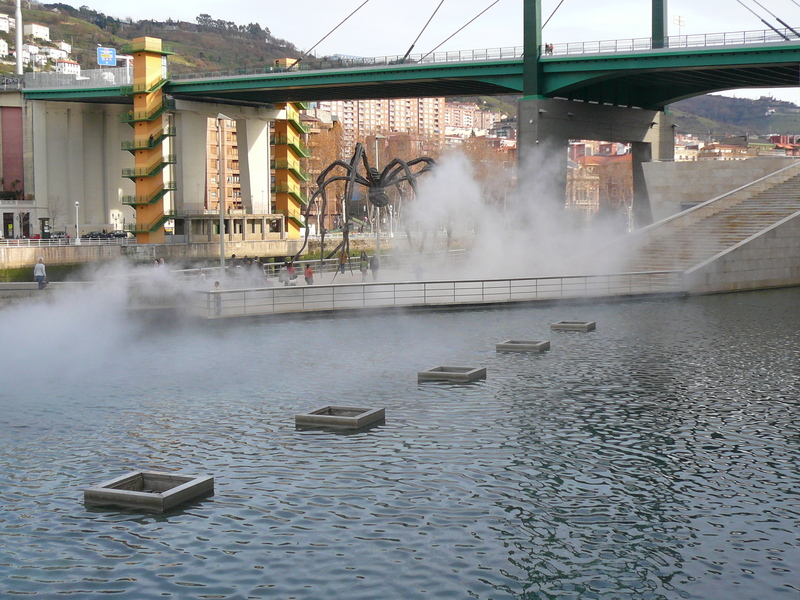 The water at the front of the Guggenheim in Bilbao emits steam. At night, it also emits fire. Brilliant jets of flame extend from the five concrete squares, a realisation of the ‘Fire Fountain’ designed by the artist Yves Klein. An example of art and architecture both drawing on elemental themes. 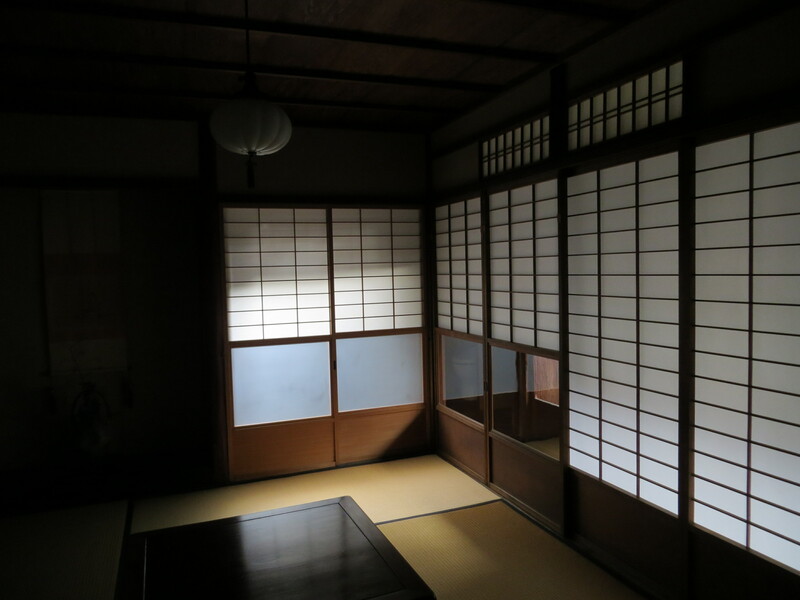 Wood, rice (paper and straw) and earth were the main building materials in Japan prior to westernisation. Roof types varied from thatch to tiles. The removable walls provided flexible spaces and the buildings were designed to withstand earthquakes. Not the fires that sometimes followed them however. 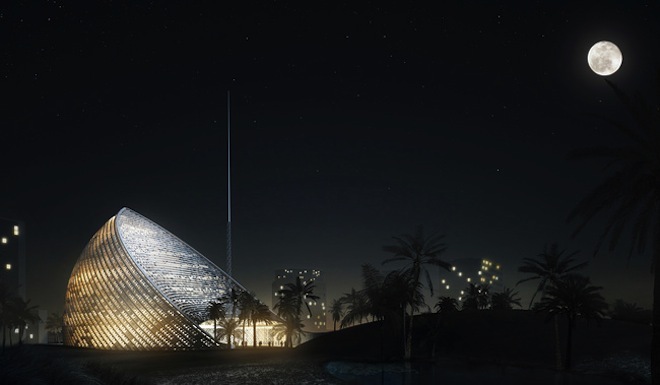 The design for the new ARPT Headquarters in Algeria, Africa drew inspiration from the desert sand and wind, and is also designed to withstand desert sand storms (Source: http://www.greenprophet.com). Many new conceptual building designs are incorporating their own wind and solar energy sources. 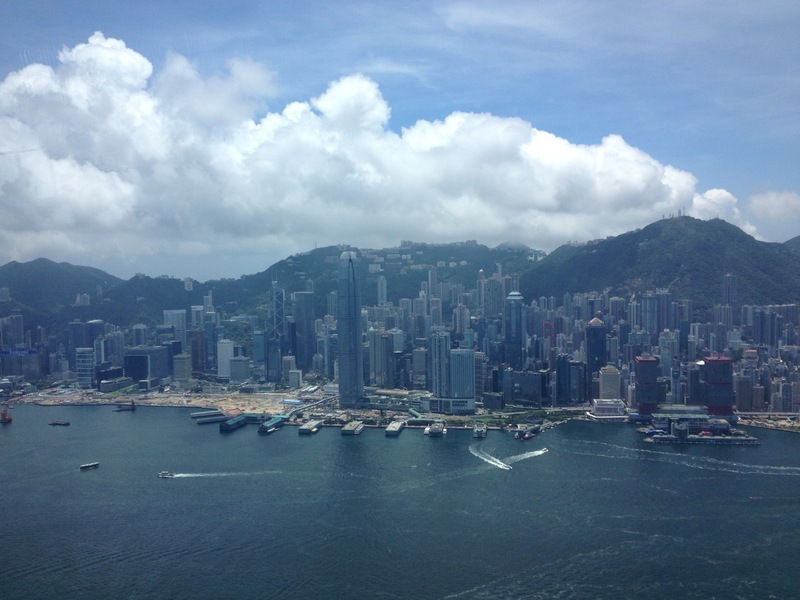 Hong Kong Harbour. The designer of the Bank of China Tower, with the white triangular framework, was criticised for not consulting Feng Shui masters before construction. After it was built, changes were made to balance the energy of the elements (particularly metal and water) by incorporating water features and plants near the tower. 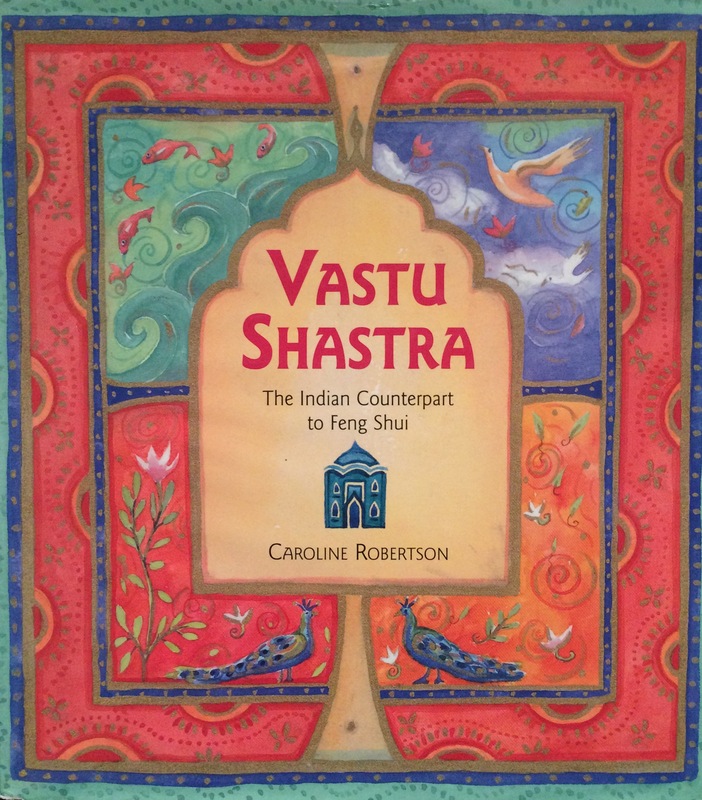 Vastu Shastra is the Indian counterpart to Feng Shui, as this book notes. The 5000 year old science of building is designed to balance the relationship between humans, nature and the external and internal design of buildings. It uses the elements, amongst other factors, to achieve this. Unlike Feng Shui, Vastu Shastra is not a household name in the west. 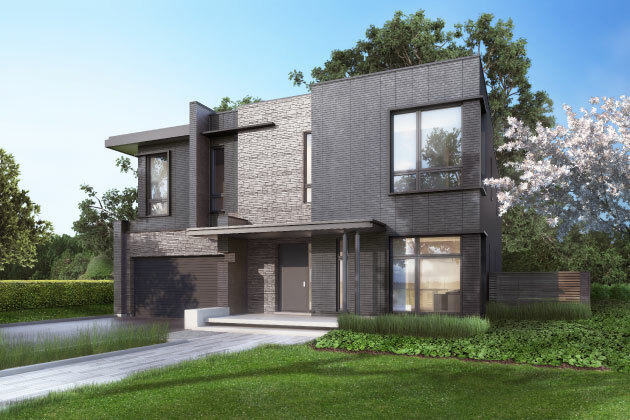 Many modern houses in Australia are being built of earth (bricks), with features of stone and wood (Source: pauljohntson.com). Render is popular as well. While appreciation of the importance of incorporating energy efficiency (aka elemental efficiency!) into designs is growing, there is still some way to go. This entry was posted in Africa, Air, Australia, Central and South America, China, Earth, Europe, Fire, India, Japan, Metal, USA, Visual Arts, Water, Wood and tagged Africa, Air, Architecture, China, Cob, earth, Feng Shui, Fire, India, Japan, Stone, the elements, Vastu Shastra, Water. Bookmark the permalink. 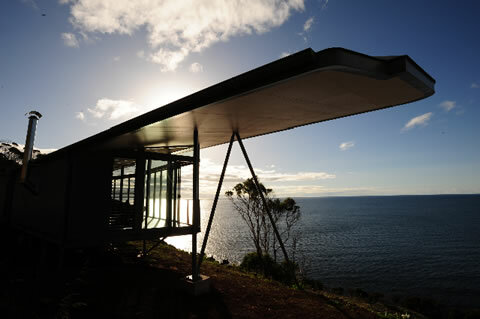 Your virtual tour of these elementally aware buildings is fascinating. You have provided us with a new lens through which we can appreciate the multitude of ways that the elements are included in building design.